Zack Hoffman, the Voice of Zartan, Will Be Attending Retro Con 2014! 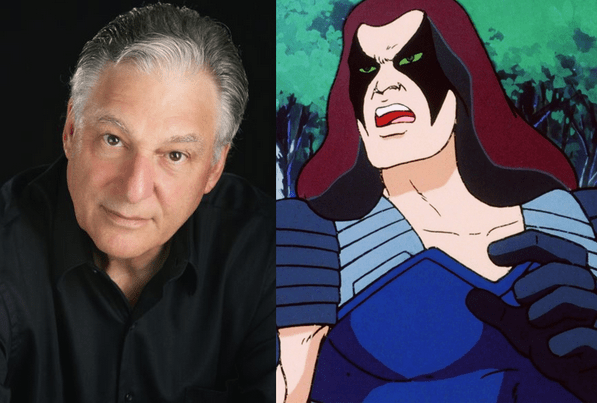 Retro Con 2014, the annual celebration of all things 80’s, has just announced that Zack Hoffman, the voice of Zartan in the Sunbow animated series G.I. 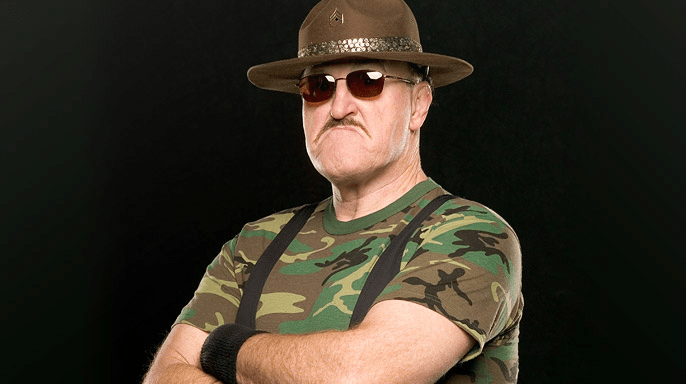 Joe: A Real American Hero, will be appearing at the two day event! We’re happy to announce the addition of Zack Hoffman to our guest list! Zack is best known for giving voice to master of disguise ‘Zartan’ on the original 1980′s GI Joe cartoon created by Marvel Sunbow Productions! Zack has also recorded hundreds of commercials throughout a career spanning over 30 years in the industry. In addition you may recognize him as the movie director in Pee Wee’s Big Adventure, when Pee Wee reclaims his bike after briefly impersonating a nun! Most recently Zack has created his own One Man Show call Tuxedo Man, with another entitled The Last DJ coming soon! Check out his website to follow all his works past and present! Zack will be on hand all weekend to sign autographs free of charge. We only request you limit your items signed to 2 or 3. We thank Zack immensely for agreeing to come out for the show!! He joins fan-favorite author Mark Bellomo, renowned voice actor Larry Kenney (Lion-O, Thundercats), and internet movie host Mr. Lobo on the guest list. For its third convention, Retro Con will expand to a full two days to September 27 – 28 at the Greater Philadelphia Expo Center in Oaks, PA. Last year’s guests including Sunbow voice actor Neil Ross and the “godfather of G.I. Joe” Larry Hama! For more information, visit RetroCons.com or follow them on Twitter at @Retrocons! 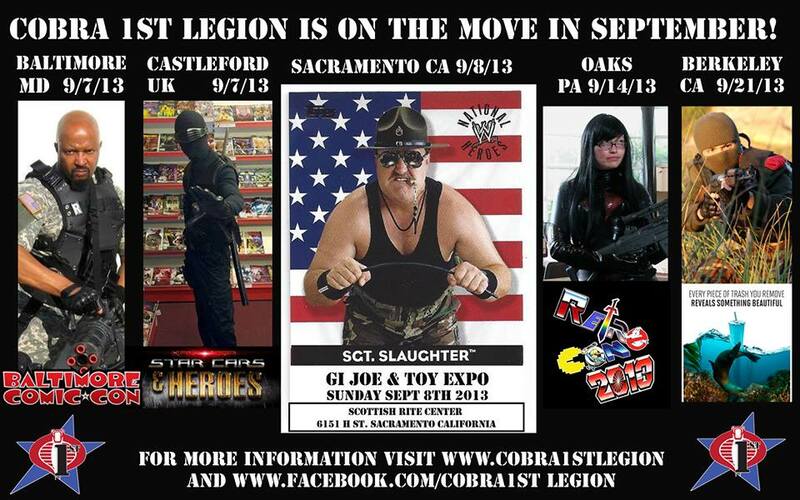 Meet Larry Hama and Neil Ross at Retro Con 2013 this weekend! Looking for something to do this weekend in the Philadelphia area? Check out Retro Con 2013 at the Greater Philadelphia Expo Center in Oaks, PA! Chock full of 80’s goodness, Retro Con has grown even larger in its second year! Featuring a plethora of exciting guests, over 150 dealer tables, classic “star cars” (weather permitting), and even a special screening of Back to the Future on the big screen it’s bound to make fans of G.I. Joe, Transformers, Thundercats, classic video games, etc feel like a kid again. Organized by uber-fans Tony and Rosemary (Ward) Tuski and featuring a door ticket price of only $14.00, it’s an affordable and fun way to indulge your inner nostalgia child! Mark Bellomo – author The Ultimate Guide to G.I. Joe: 1982 – 1994, Transformers: Identification & Price Guide, and Totally Tubular 80’s Toys! Mr. Lobo – host of the nationally syndicated Cinema Insomnia! In addition there will be door prizes, a costume contest, and a chance to have your picture taken with such “star cars” as K.I.T.T. (Knight Industries Two Thousand), Black Beauty, a Jurassic Park jeep, a full-size TARDIS, the Delorean from Back to the Future, and more! For more information, check out www.RetroCons.com!